Denali is the tallest mountain in North America. Located in south-central Alaska, the mountain’s peak is 20,310 feet (6,190 meters) above sea level, also making it the third highest of the Seven Summits — the highest mountains on each of the seven continents — following Mount Everest in Nepal and Aconcagua in Argentina. By one measure, it could be considered the third tallest mountain in the world. The upper half of Denali is permanently covered with snow and many glaciers, some more than 30 miles (48 km) long. The mountain’s extreme cold, which can be minus 75 degrees Fahrenheit (minus 60 degrees Celsius) with wind chill down to minus 118 F (minus 83 C), can freeze a human in an instant. An automated weather station at 18,700 feet (5,700 meters) records temperatures. More than 400,000 people visit Denali National Park and Preserve each year, primarily between May and September. An estimated 32,000 people have attempted to reach the summit, with about a 50 percent success rate. 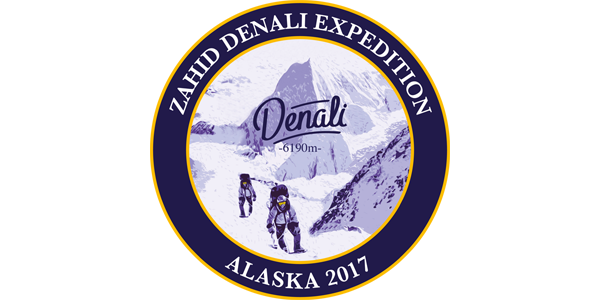 There are many guides who lead climbing trips to Denali, and it is classified as an extremely challenging expedition due to the severe weather and difficulty in acclimating. Because of its far northern latitude of 63 degrees, Denali has lower barometric pressure than the world’s other high mountains. There is a distinction between measuring “highest” and “tallest.” The highest mountain is determined by measuring a mountain’s highest point above sea level. The tallest mountain is measured from base to summit. Using that measurement, Denali is taller than Mount Everest. Denali rises about 18,000 feet (5,500 meters) from its base, which is a greater vertical rise than Everest’s 12,000-foot rise (3,700 meters) from its base at 17,000 feet (5,200 meters). In his book, “The Finest Peaks: Prominence and Other Mountain Measures” (Trafford, 2005), Adam Helman wrote, “The base to peak rise of Mount McKinley is the largest of any mountain that lies entirely above sea level.” Based on its topographic prominence, or the distance between its summit and lowest contour line, Denali is the third most prominent peak after Mount Everest and Aconcagua in South America. But Denali and Everest are both dwarfed by Mauna Kea in Hawaii. When measured from the ocean floor to its summit, that mountain is 33,476 feet (10,204 meters) tall. However, only 13,803 feet (4,207 meters) rise above sea level.